The energy of Radha is present whenever we feel passionate love, and the desire to unite (either physically, mentally, or spirituality) with our beloved. Whether our beloved is a person, a deity, or an activity, it is Radha who inspires that burning, aching feeling of longing in our hearts, driving us to manifest and experience love and creativity. Have you ever had that fantasy where you take your lover, some delicious foods and wine, and lock yourselves away in a beachfront hotel for days on end, just worshiping each other and pretending the outside world doesn’t exist? Radha’s love is all encompassing, all enveloping. She is that sometimes overwhelming feeling regardless of what society and worldly standards say is appropriate. She is love and devotion without influence; the pure, ecstatic, blissful expression. The mantra Aham Prema (ah-hum pray-mah) is perfect for calling in the energy and influence of the Goddess Radha. The phrase is Sanskrit for “I AM Divine Love,” and daily repetition of it awakens the root, heart, and crown chakras. The love this mantra invokes includes human love, divine love and universal love, and reminds that your mind, body, and spirit are created from these sacred expressions of life. Want more? 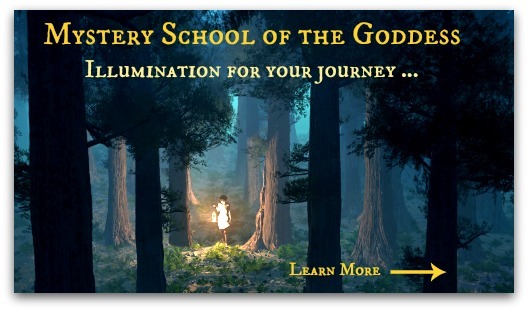 This post is an excerpt from the online workshop Invoking the Love Goddesses with Priestess Brandi Auset. Visit RedWholistic.com to register.